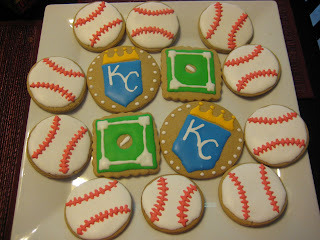 Last weekend we were going to a Royal's game and tailgating beforehand, so what better to have around than some baseball-themed cookies? 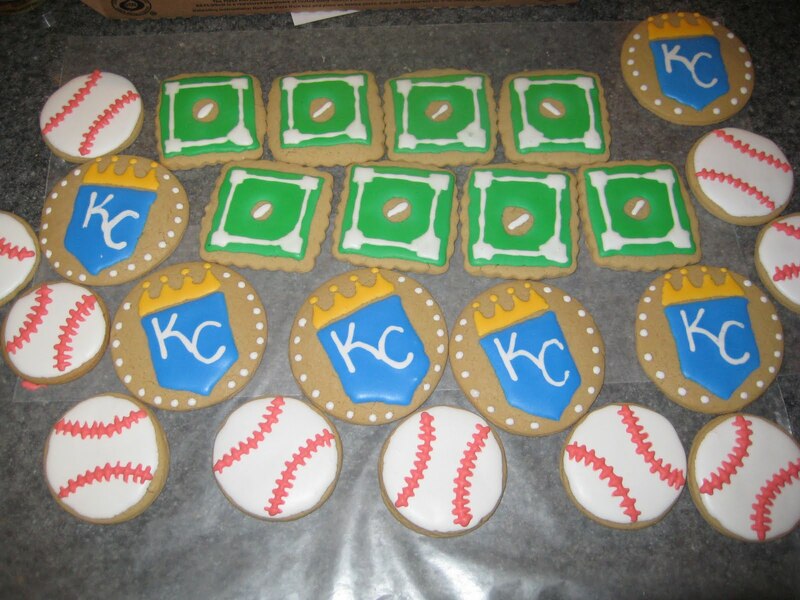 I used my favorite sugar cookie recipe, German Cut-Out Cookies, for the dough and my royal icing for the decorations. I am slowly but surely figuring out this whole royal icing thing. Every time I do cookies I get better and better at it! 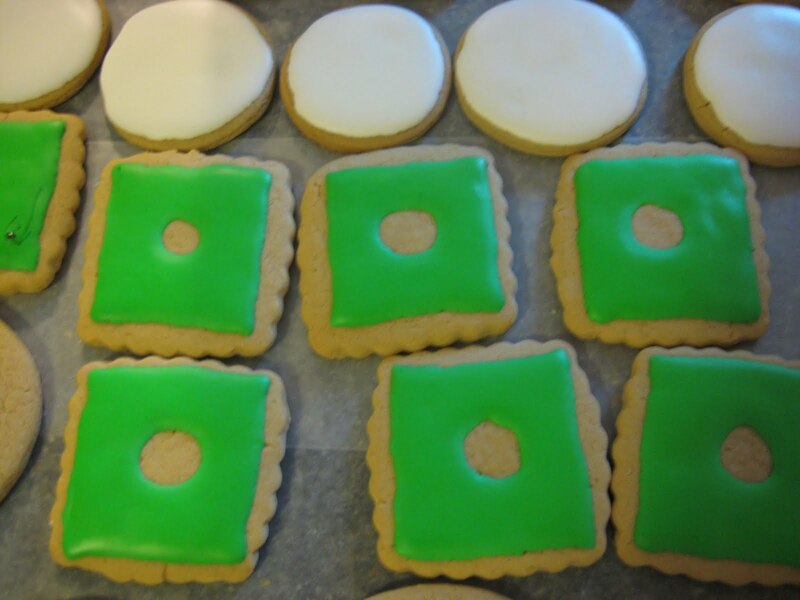 First I started by icing the first layer on each cookie - white circles for the baseballs and green squares for the baseball diamond. 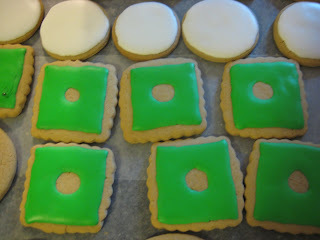 I was sure to leave a hole in the center of the green icing for a "pitcher's mound". Once that icing dried I put the details on...red stitches on the baseballs and bases on the diamond. Voila! When I initially decided I wanted to do baseball cookies for the game, I didn't have much faith in myself that I could do a Royal's logo. I was just going to do a plain blue cookie with a white KC in the middle. Then I thought, "Why not just go for it? What's the worst that could happen?" So I did! Apart from a few crooked ones and some color bleeding on the KC's, I have to say I was pretty happy with the turnout.